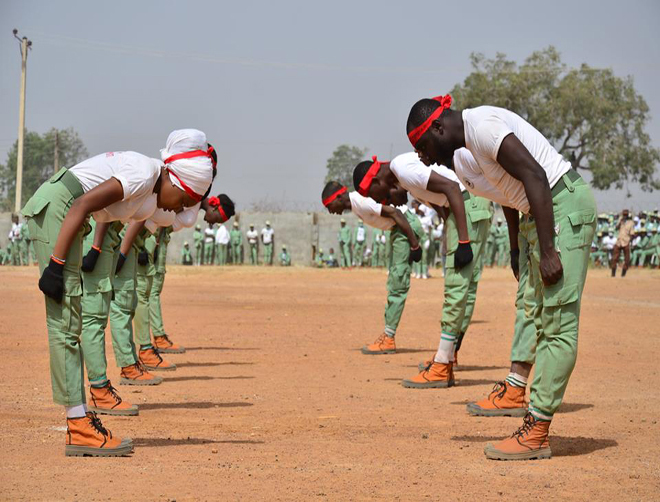 A powerful display of mutual respect by two groups of the NYSC Kaduna States calisthenics team. 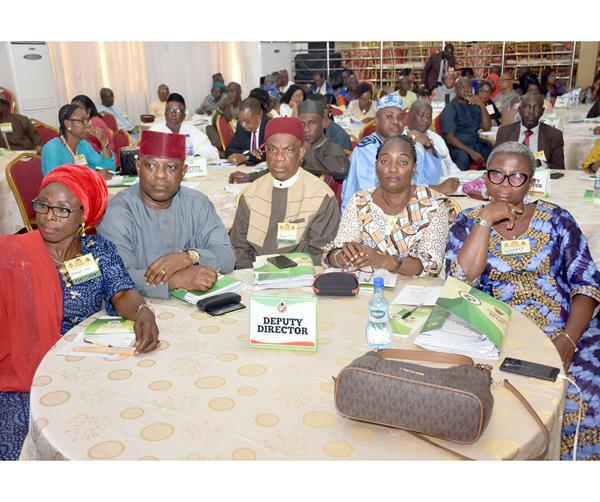 Cross section of Directors and Deputy Directors at the 2018 AMC in Akure. 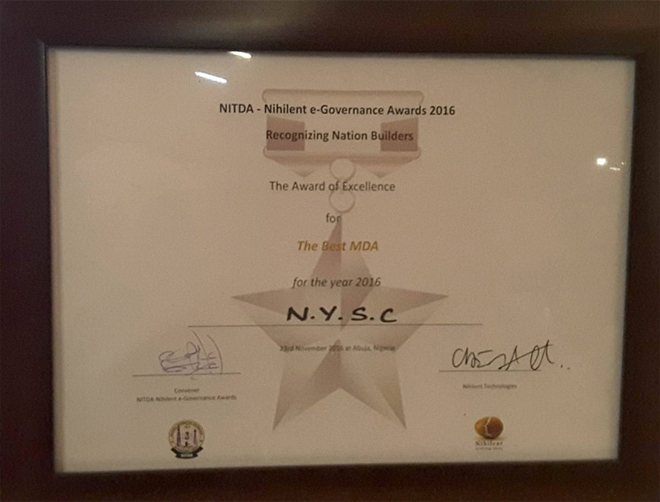 Wouldn't you rather take a look at the beautiful 2016 Best MDA e-Governance Award Plaque presented to the NYSC? 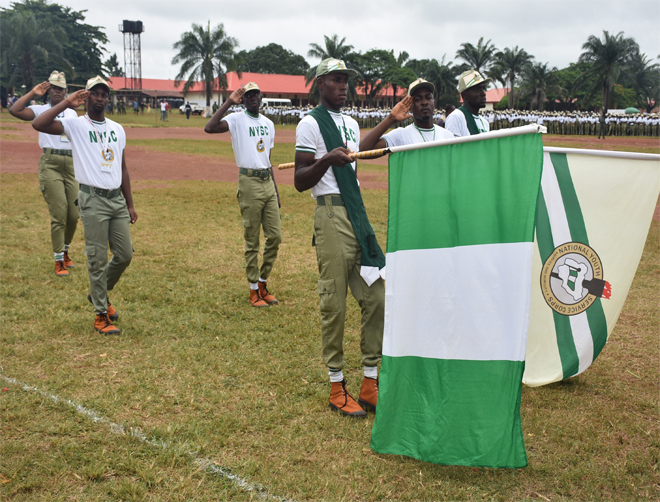 Corps Members on Parade Display the Nigerian and NYSC Flags as a sign of Hope, Unity & Progress. 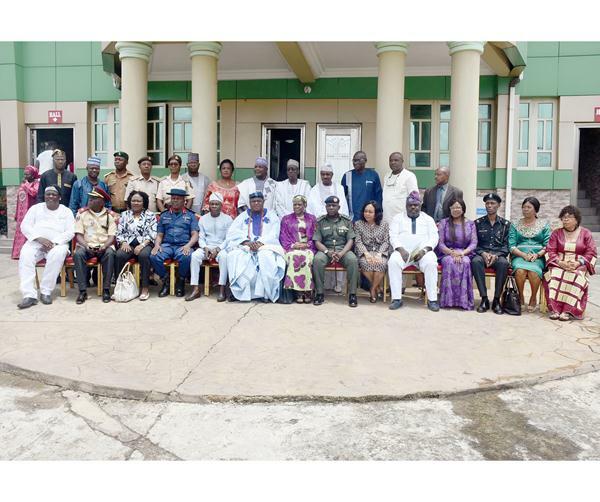 Group Picture of Director-General and other Dignitaries at AMC in Akure . 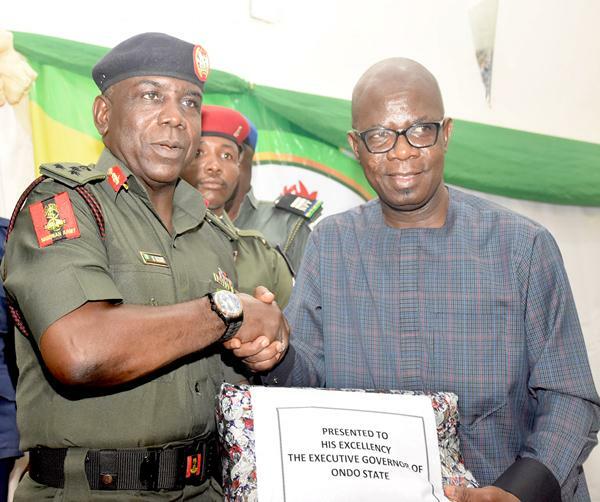 Director-General presenting a gift to the Executive Governor of Ondo State represented by his Deputy. 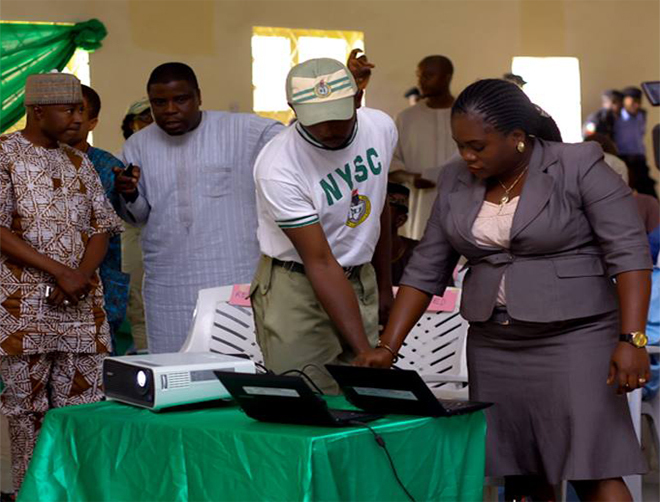 A Corps Member uses his fingerprint to mark clearance during the lauch of the Biometric Verification System in Katsina. 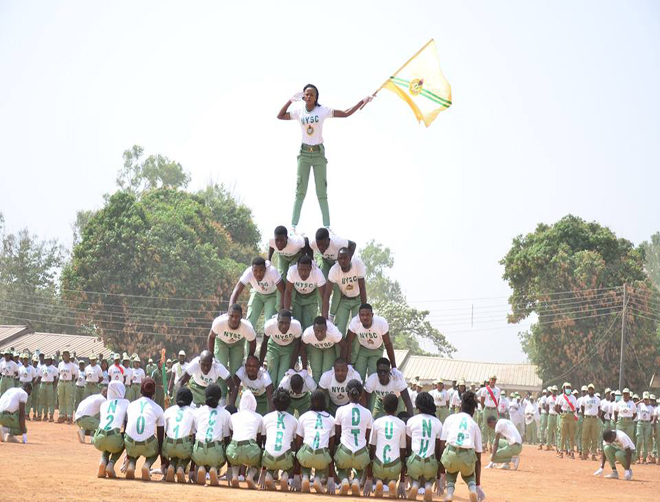 NYSC Kaduna State Corps Members display their beautiful calisthenics skills. Superb! 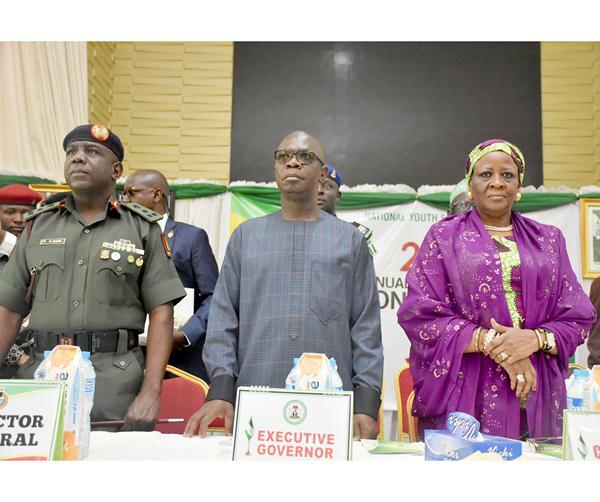 The Ondo state Deputy Governor being received at 2018 Annual Management Conference held in Akure.! 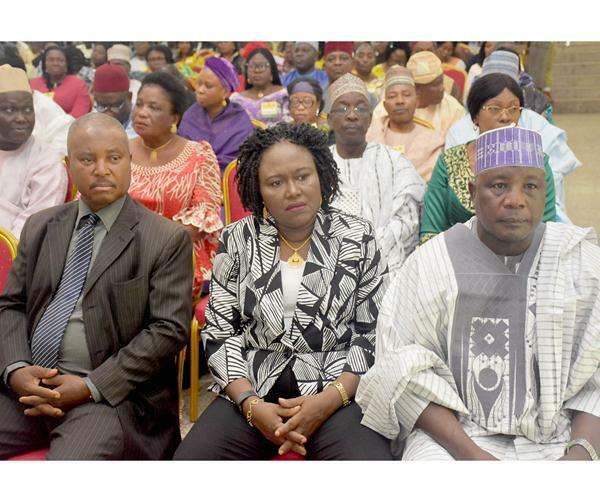 Director-General with some key Directors at AMC in Akure. 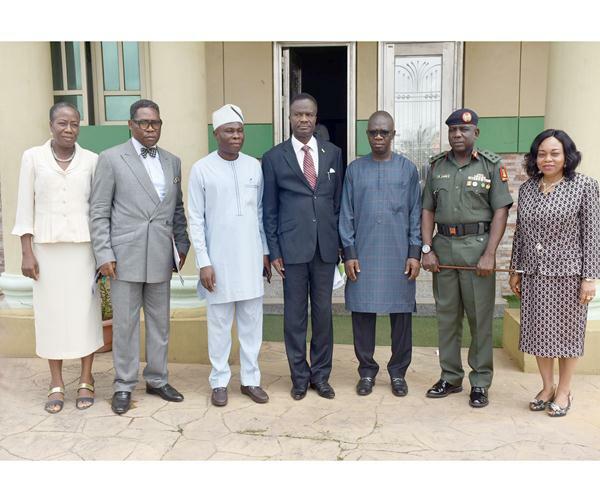 Director-General, Director PRS and Ondo state Govt Officials at AMC in Akure. 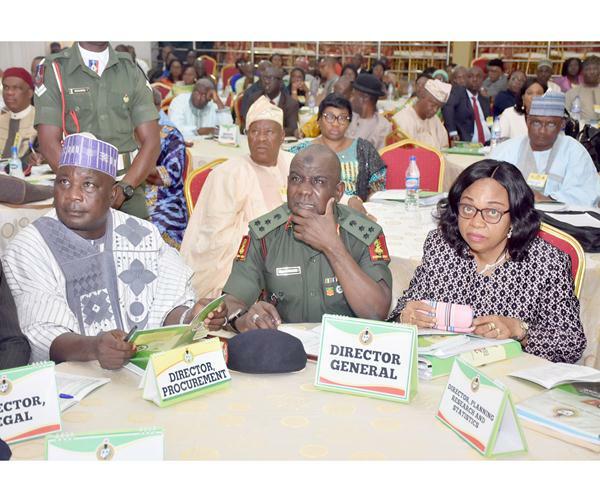 Mobilization Requirements for Foreign Graduates. 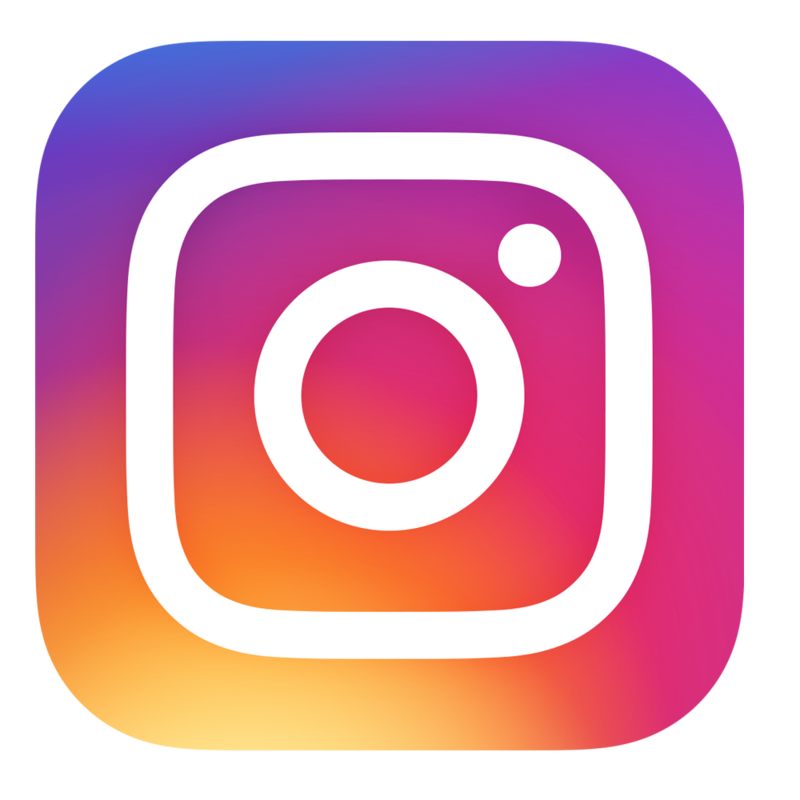 SAEDconnect for Entrepreneurship & Job opportunities. 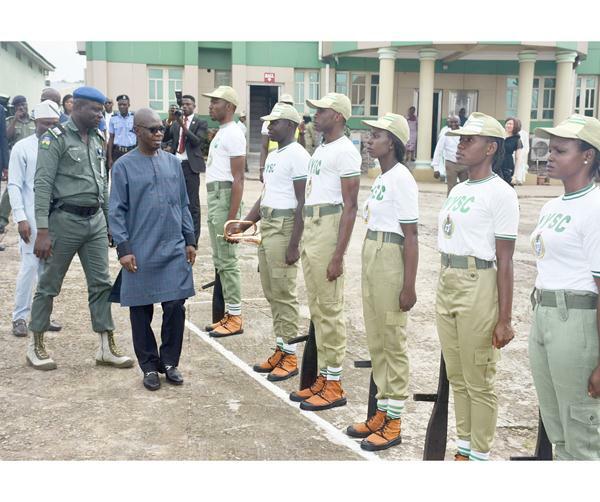 Registration/Mobilization Requirements for prospective corps members.